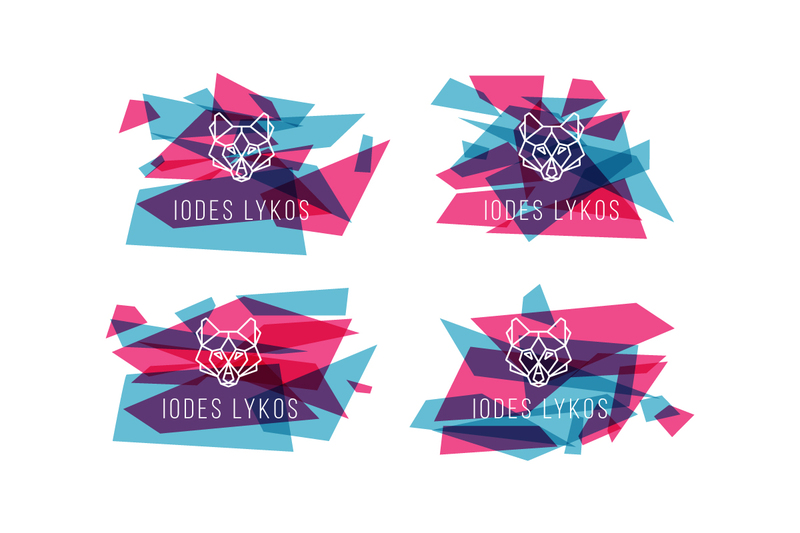 Iodes Lykos defines itself as a multimedia company with roots in various creative industries. 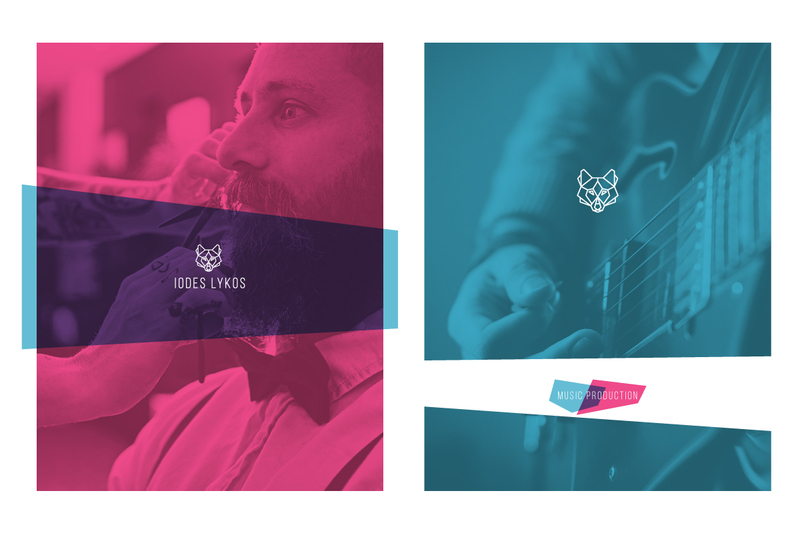 They needed a fresh identity to represent the spirit of their company and their high ambitions for the future. 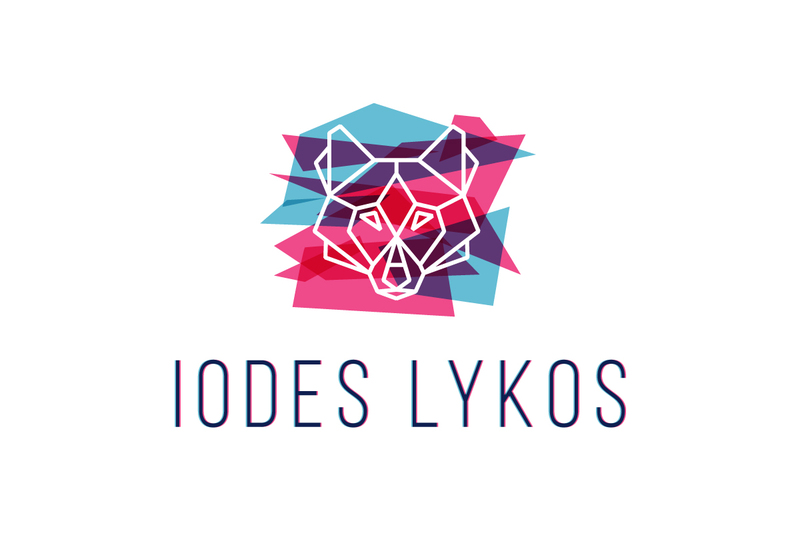 Iodes Lykos is the name of a vibrant, mystical wolf deity with a kaleidoscopic coat in a story written by the company’s founder. 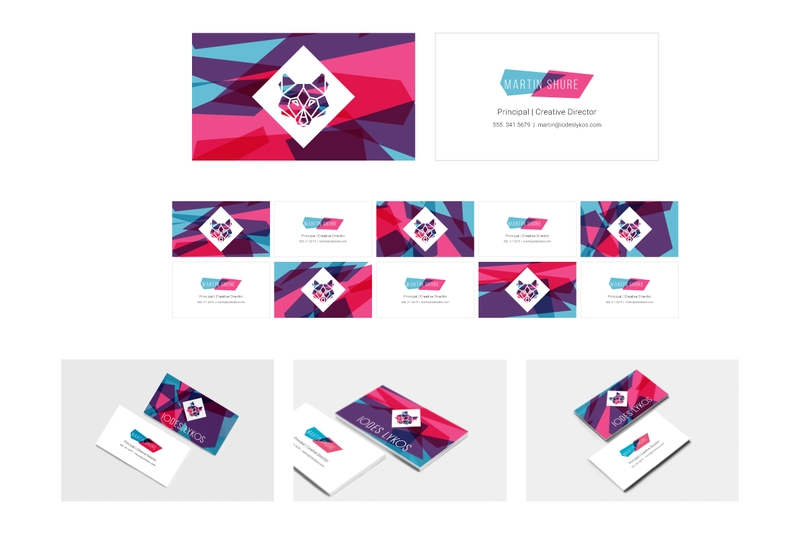 If that doesn’t provide the basis for a creative branding project, I don’t know what does! 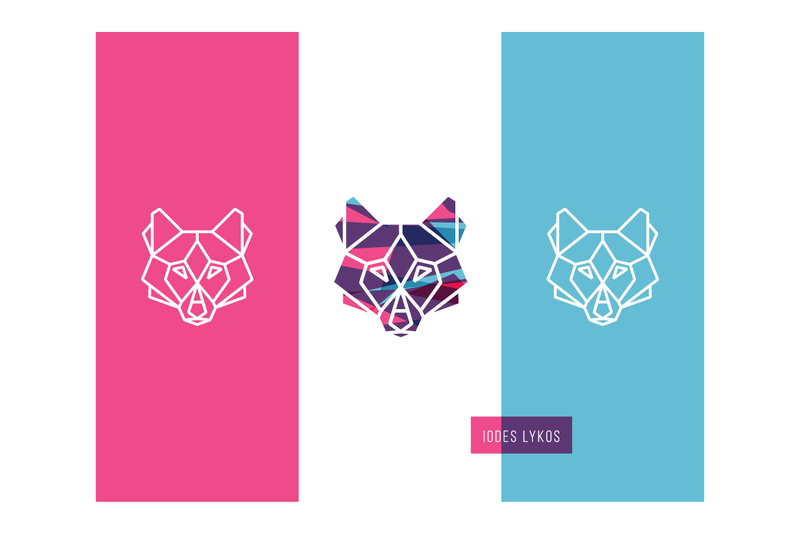 In the story, the wolf usually appears a dark purple shade with a prismatic array of colors being exposed as the perspective changes. 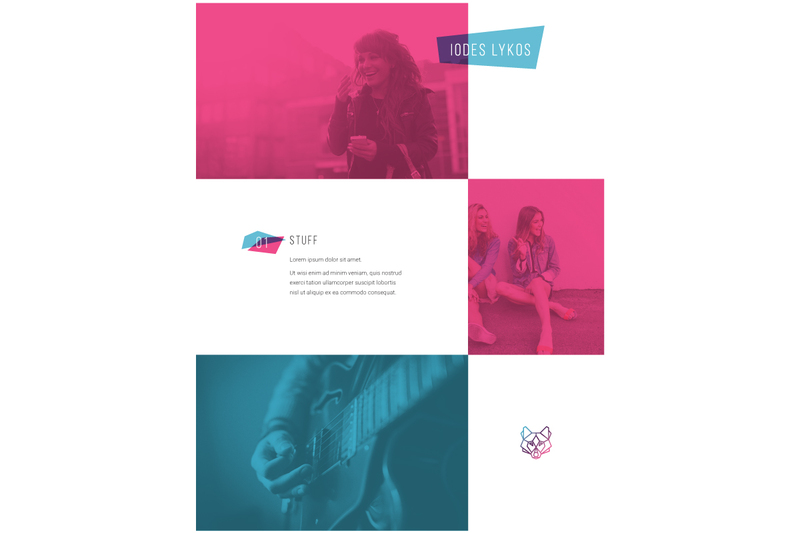 Rigidity and Fluidity describes the aesthetic I wanted to convey throughout their visual communications. It’s the kaleidoscopic experience; colorful, rigid shapes flowing past each other as you twist and turn that tube of turbulent triangles! 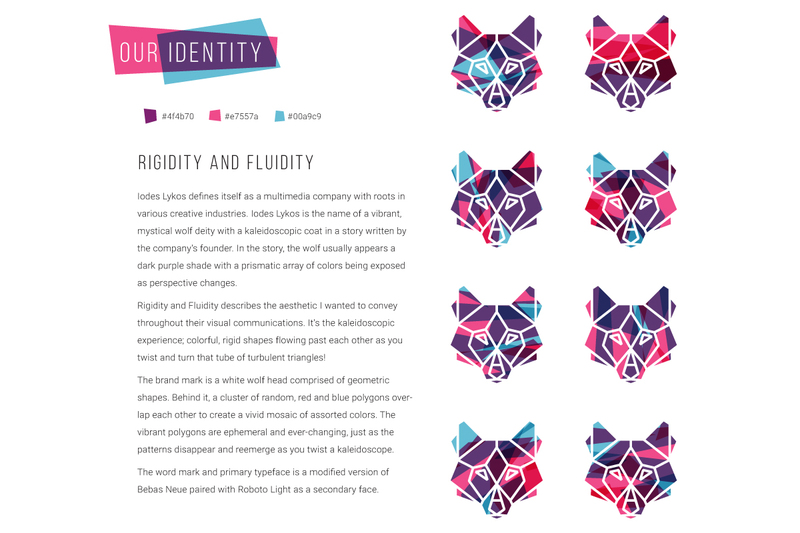 The brand mark is a white wolf head comprised of geometric shapes. Behind it, a cluster of random, red and blue polygons overlap each other to create a vivid mosaic of assorted colors. The vibrant polygons are ephemeral and ever-changing, just as the patterns disappear and reemerge as you twist a kaleidoscope. The word mark and primary typeface is a modified version of Bebas Neue paired with Roboto Light as a secondary face.